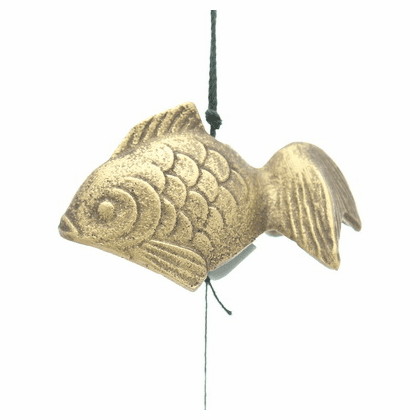 Cast iron wind chime gold goldfish. Makes a soft soothing tinkling sound. Included in the wind chime box is a paper wind catcher. 3" x 1-7/8" x 1-5/8"